Let the Breeding Bird Surveys Begin! In the mid-1960s, the US Geological Survey initiated a long-term, large-scale international avian monitoring program with the Canadian Wildlife Service called the North American Breeding Bird Survey (BBS). It was undertaken in response to the noted decline of songbird populations accompanying the widespread use of DDT for mosquito control at that time. (To learn more about this effort in North America, please click here.) Continuing to this day, the BBS is run out of the Patuxent Wildlife Research Center in Maryland, home to the Bird Banding Laboratory where records of all birds banded in the US are stored. Although rampant use of DDT has declined as a cause of songbird mortality, bird populations continued to be subjected to numerous omnipresent threats including habitat loss, habitat fragmentation, land-use changes, chemical contaminants and other problems. These issues occur worldwide and need to be closely monitored so that local populations are not lost and species do not become extinct simply because no one is paying attention. In addition to North America, many other countries around the world use bird monitoring surveys to estimate populations, understand species’ distributions and discern decline. Although many professional ornithologists and biologists take part in these surveys, the vast majority of participants are local birders practicing citizen science. 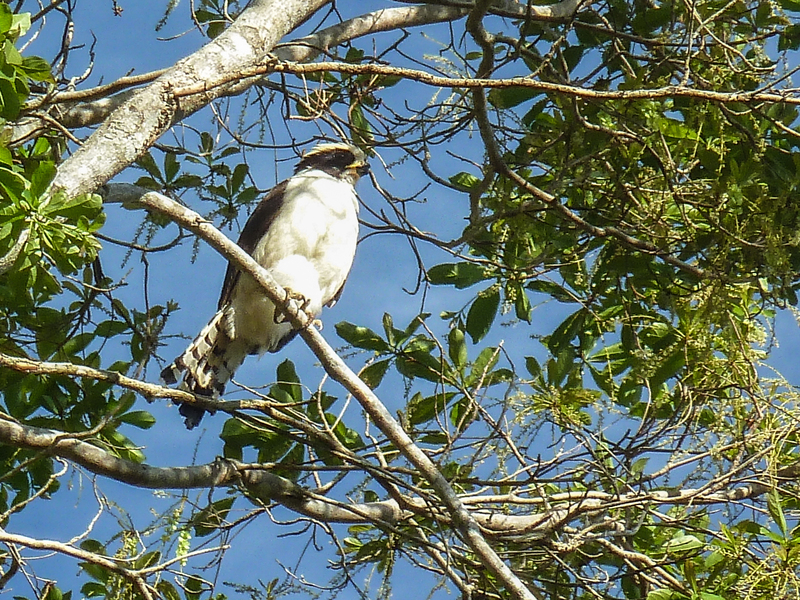 This year, Gerardo Obando of the Asociacion de Ornitologica de Costa Rica (AOCR) has taken the initiative and begun a national program of Breeding Bird Surveys! These surveys can be either a single place survey, like a garden, or a route with at least 10 stops, 200 m apart, for five-minute bird counts. The surveys must be completed between May 15 and June 30, the height of many of our resident birds’ breeding season. Your bird club completed three surveys in mid-June consisting of one privately-owned garden, a route through Finca Cantaros (one of our Avian Monitoring Project field stations) and a route through the Wilson Botanical Garden. Very special thanks go out to Mauricio Sarmiento of the OTS Las Cruces Biological Station for helping record the GPS coordinates of each point along both of the routes. Next year we need to add more routes and we will need more volunteers to accomplish this! “Ace Birders” of the SVBC: please come join us in 2013 — we need your help! You can read about this new effort — and practice your Spanish if you are not a native speaker — by clicking here. We are proud to be a new Institutional Member of the AOCR, about which you can read more by clicking here. 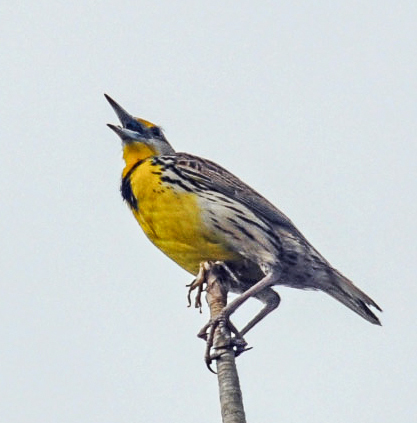 This entry was posted in Articles and tagged Asociacion Ornitologica de Costa Rica, Breeding Bird Survey, Citizen Science, costa rica, Eastern Meadowlark, Gerardo Obando, Laughing Falcon, Volunteer Birders by AWOlivieri. Bookmark the permalink.